Is Bakkt Cryptocurrency’s 'Killer App'? Cryptocurrency’s brand has recently taken yet another hit. Japanese crypto exchange, Zaif just lost $60 million to hackers. 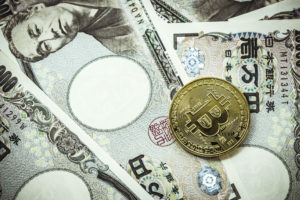 That follows the plunder of another Japanese exchange in January, Coincheck, which lost nearly half a billion dollars, not to mention the raid of several other exchanges this year. But positive news may be around the corner. The big boys of exchange trading have come to crypto town. Intercontinental Exchange, a leading operator of global exchanges, burst onto the scene this summer, announcing the formation of Bakkt, a company which could create a sustained rise in bitcoin investment and adoption. If approved by the U.S. Commodities Futures Trading Commission (CFTC), Bakkt plans to create the largest US-regulated global platform for consumers and institutions to buy, sell, store, and spend digital assets. Investors would purchase a digital asset (a commodity) through a broker-dealer, regulated as a member of the ICE futures exchange. And Citigroup, one of the world’s biggest issuers of American Depository Receipts, which allow Americans to own foreign stocks through a custodian, will reportedly offer crypto custody solutions to institutional investors. If approved by regulators, its “Digital Asset Receipt” (DAR), would allow institutional investors to securely invest in cryptocurrencies. A custodian firm, Depository Trust & Clearing Corp would provide secure storage of the cryptocurrency assets. More on Citigroup in a future post. But Bakkt is a more comprehensive cryptocurrency solution, addressing custodianship and far more. 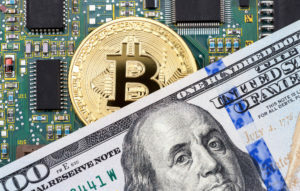 If Bakkt is successful, according to ICE CEO Jeffrey Sprecher, “Bitcoin would greatly simplify the movement of global money…It has the potential to become the first worldwide currency.” So, is Bakkt cryptocurrency’s next killer app? And if so, what would this mean? According to Harvard Business School Professors Marco Iansiti and Karim R. Lakhani, blockchain technology, “has the potential to become the system of record for all transactions. If that happens, the economy will once again undergo a radical shift, as new blockchain-based sources of influence and control emerge. A way for major money managers to offer bitcoin mutual funds, pension funds, and ETFs, as highly regulated, mainstream investments. A more convenient system to transact in bitcoin to pay for goods and services. Regulated futures markets provide the cornerstone for the Bakkt plan. Although a trading facility that simply exchanges fiat currency for bitcoin on a “spot” basis doesn’t come under regulation, bitcoin futures trading is regulated by the CFTC. Two exchanges, ICE Futures U.S. and ICE Clear U.S., would launch their first physically delivered bitcoin futures and warehouse in coordination with Bakkt. 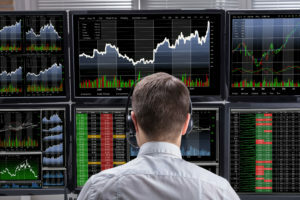 And though Bakkt has not yet released details about how it plans to collect and analyze data on bitcoin trading to detect fraud and market manipulation, it seems to have a formidable infrastructure to do so. Not only does ICE operate six leading regulated financial exchanges including the New York Stock Exchange, but selling data on exchange pricing, and analytics represents ICE’s biggest revenue generator. Its ICE Global Network provides clients access to data analytics from over 150 global markets, including proprietary data from NYSE and ICE Exchanges, its ICE Data Services division, in addition to over 600 proprietary and other sources. Bakkt also plans to remove borrowing from the investment equation, which could satisfy regulatory interests in reducing investor risk. The new daily bitcoin contract “…will not be traded on margin, use leverage, or serve to create a paper claim on a real asset,” explained Bakkt CEO Kelly Loeffler. The first contracts Bakkt envisions will be physically delivered Bitcoin futures contracts priced relative to a fiat currency. “Buying one USD/BTC futures contract, for example, will result in daily delivery of one Bitcoin into the customer’s account,” Loeffler clarified, which would typically occur within the Bakkt digital warehouse. 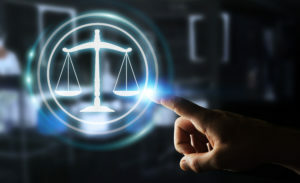 By handling bitcoin transactions from within its large anticipated supply of bitcoin, Bakkt also intends to speed bitcoin transactions. Facilitating trades within its anticipated bitcoin stockpile could thus solve the cryptocurrency’s “scalability issue.” Sustained scalability for the world’s largest cryptocurrency by market capitalization could in turn unleash a plethora of business and consumer applications to make commerce cheaper, more efficient, and accessible to consumers and businesses around the globe in ways we haven’t yet even imagined. Can Bakkt Make Bitcoin The New Global Currency? ICE Futures U.S., and ICE Futures Europe, two of the world’s largest commodities futures exchanges. The New York Stock Exchange (NYSE) the world’s largest stock market, trading 1.5 billion shares a day—or nearly one-in-four of all equity transactions. NYSE American, the leading platform for mid-cap companies. Arca, the world’s largest marketplace for ETFs. New York Board of Trade (NYBOT), the world leader in almost all categories of futures for “soft” agricultural commodities such as sugar, coffee, and cotton. No one is infallible. But if any one individual has the potential to transform bitcoin from volatile, hack-prone gadfly to reliable global currency and efficient transaction channel, it may just be Jeff Sprecher and his global ICE exchange infrastructure. 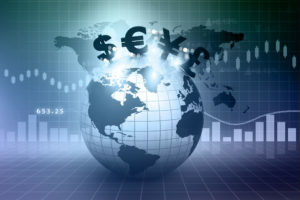 Brian Sewell is Founder of Zion Trades (www.ziontrades.com), a cryptocurrency trading platform, and Rockwell Trades (www.rockwelltrades.com), an institutional OTC cryptocurrency service.